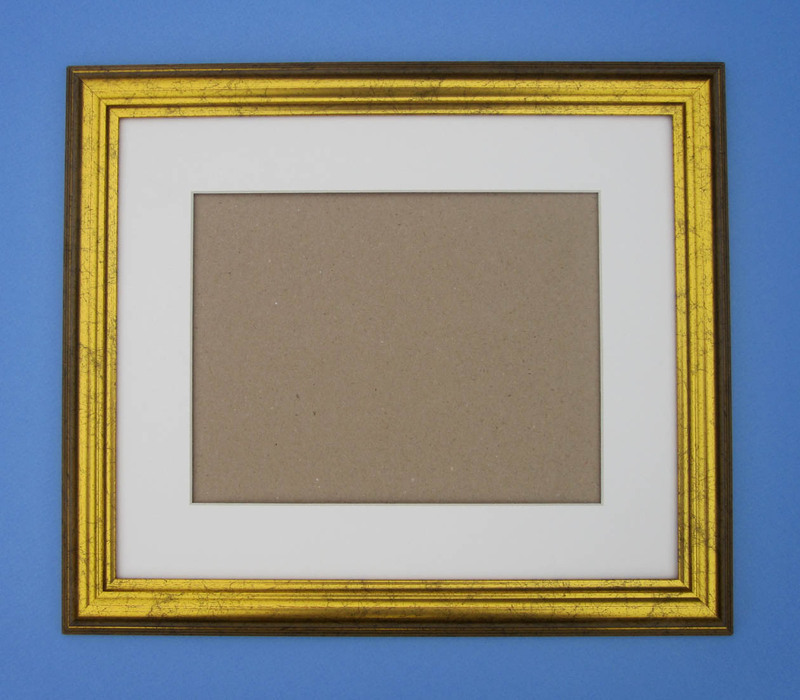 OUR READY MADE FRAMES ARE MADE TO ORDER SO IT'S NO PROBLEM TO MAKE AN ODD SIZE IF YOU REQUIRE. JUST EMAIL ME OR TELEPHONE WITH YOUR REQUIREMENTS AND I'LL WORK YOU A PRICE OUT. 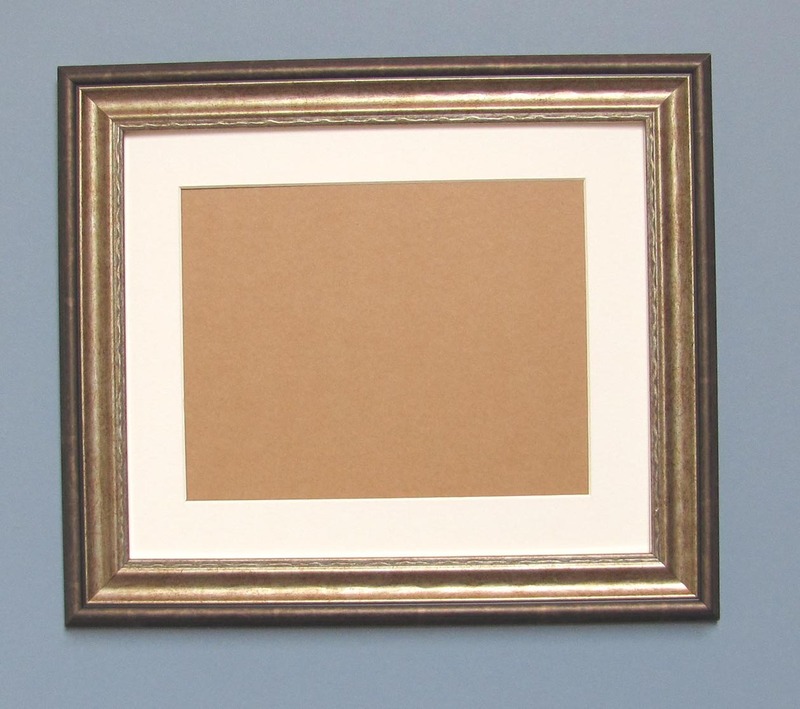 ALL OUR READY MADE FRAMES ARE SUPPLIED WITH GLASS NOT PLASTIC, PLUS CORD AND D RINGS AND SCREWS FOR HANGING AND ALL COME WITH AN ACID FREE MOUNT TO BETTER PROTECT YOUR ARTWORK BUT CAN ALSO BE SUPPLIED WITHOUT A MOUNT IF REQUIRED. POSTAGE COSTS ARE INCLUDED IN THE PRICE SO THE PRICE YOU SEE IS THE PRICE YOU PAY. 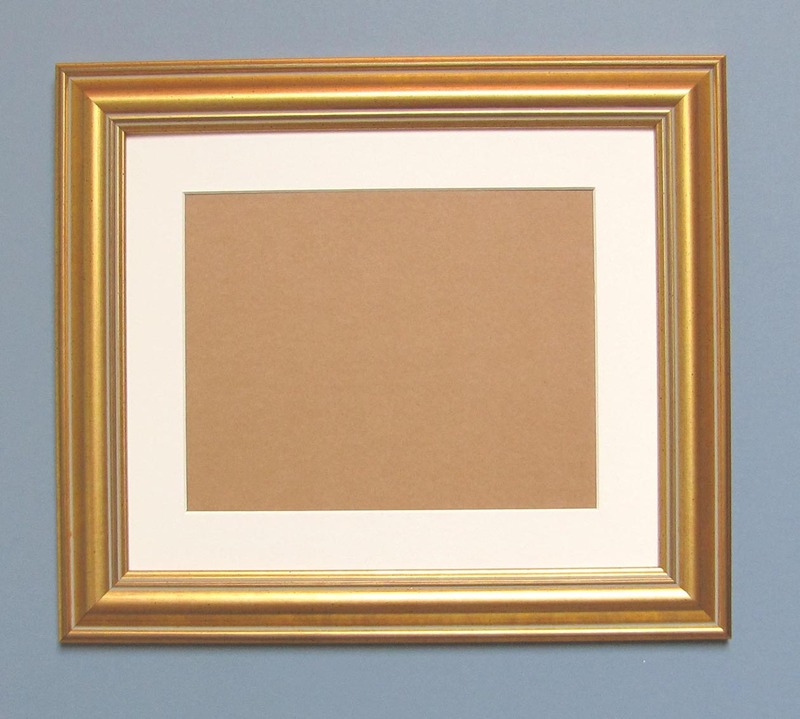 The page below contains frames in both real wood and polymer mouldings so scroll down to see the selection.The mounts in the frames are all cut in a soft white board and the apertures can be cut to any size at no extra cost. 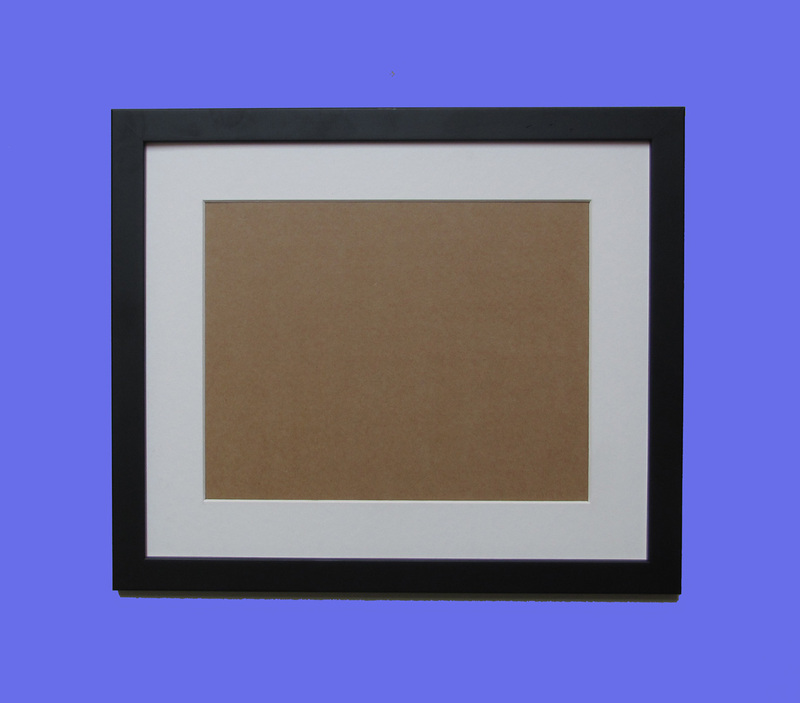 PLEASE NOTE THE SAMPLE PHOTOS ARE ALL OF 12"X10" FRAMES BUT THAT IS NOT WHAT YOU ARE ORDERING UNLESS YOU ARE LOOKING AT THE 12"X10" PAGE.ALL FRAME SIZES QUOTED ARE GLASS SIZES, NOT THE EXTERNAL FRAME SIZE.Please note image colours may vary slightly on different monitors. CLICK ON ANY IMAGE TO ENLARGE. We only accept payments through paypal so if you don't have a Paypal account you can create one for free by clicking the Paypal symbol to the right. POSTAGE INCLUSIVE PRICES ARE FOR THE UK ONLY. IF YOU ARE OUTSIDE THE UK AND WANT TO ORDER, PLEASE EMAIL FOR A PRICE. 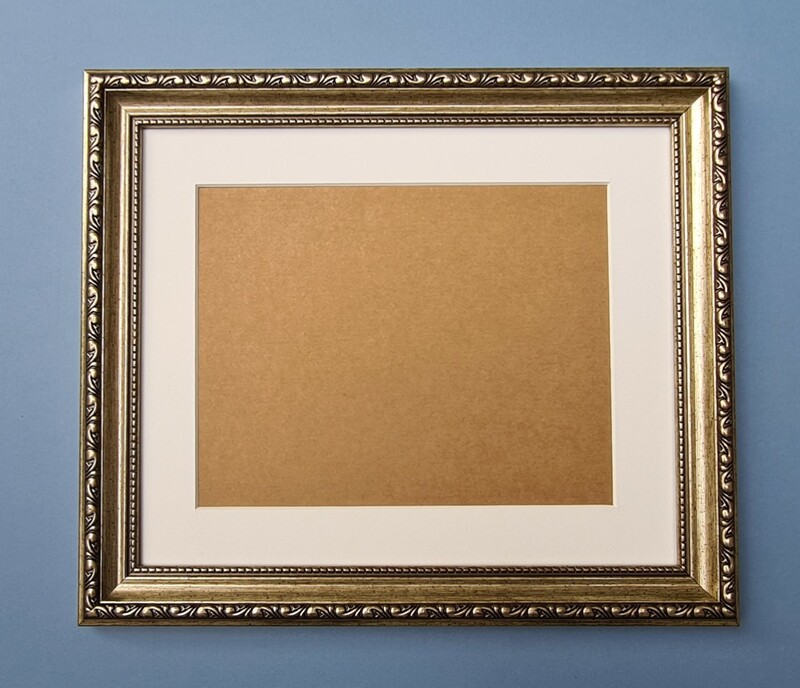 20"X14"QUALITY GOLD POLYMER FRAME COMPLETE WITH A SOFT WHITE COLOURED ACID FREE WHITE CORE MOUNT GLAZED WITH GLASS NOT PLASTIC AND CORRI COR BACK. Mount comes with a 16"x10" aperture but can be cut to any aperture size on request.Please specify if you require a different aperture size via email when ordering. Price £27.20 inclusive of postage. 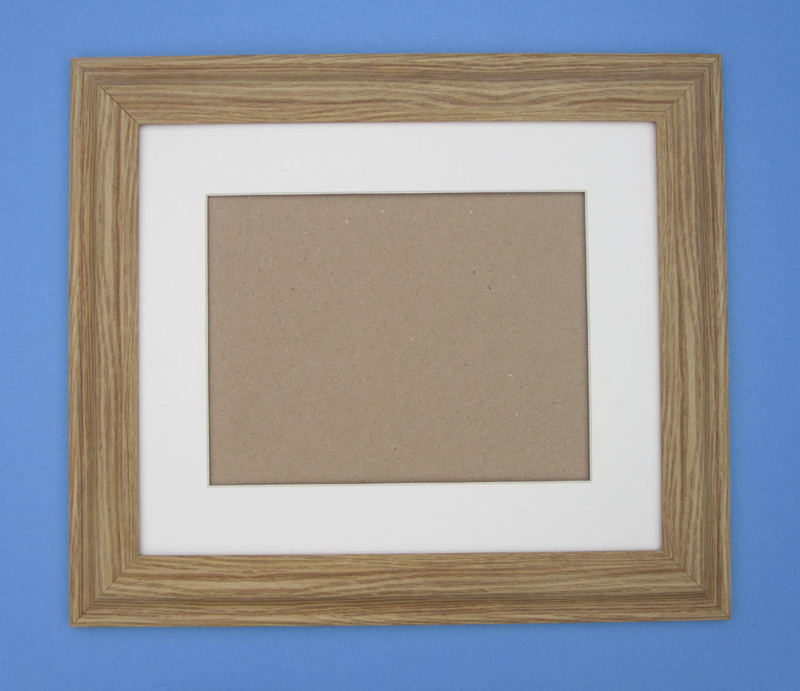 20"X14"QUALITY OAK EFFECT POLYMER FRAME COMPLETE WITH A SOFT WHITE COLOURED ACID FREE WHITE CORE MOUNT GLAZED WITH GLASS NOT PLASTIC AND CORRI COR BACK. Price £33.75 inclusive of postage. 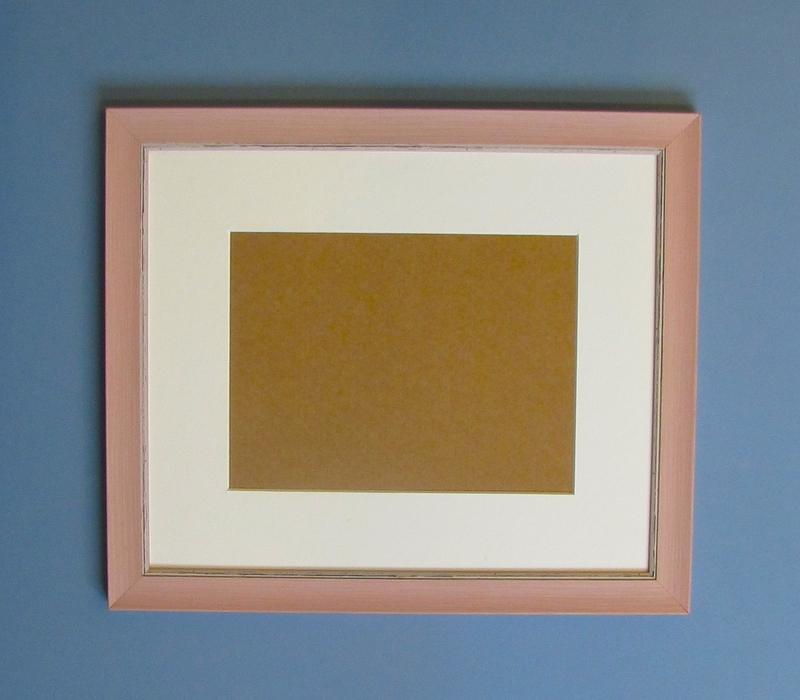 20"X14"QUALITY WOOD AND GOLD EFFECT POLYMER FRAME COMPLETE WITH A SOFT WHITE COLOURED ACID FREE WHITE CORE MOUNT GLAZED WITH GLASS NOT PLASTIC AND CORRI COR BACK. 20"X14"QUALITY SILVER POLYMER FRAME COMPLETE WITH A SOFT WHITE COLOURED ACID FREE WHITE CORE MOUNT GLAZED WITH GLASS NOT PLASTIC AND CORRI COR BACK. 20"X14"REAL WOOD BLACK FRAME COMPLETE WITH A SOFT WHITE COLOURED ACID FREE WHITE CORE MOUNT GLAZED WITH GLASS NOT PLASTIC AND CORRI COR BACK. 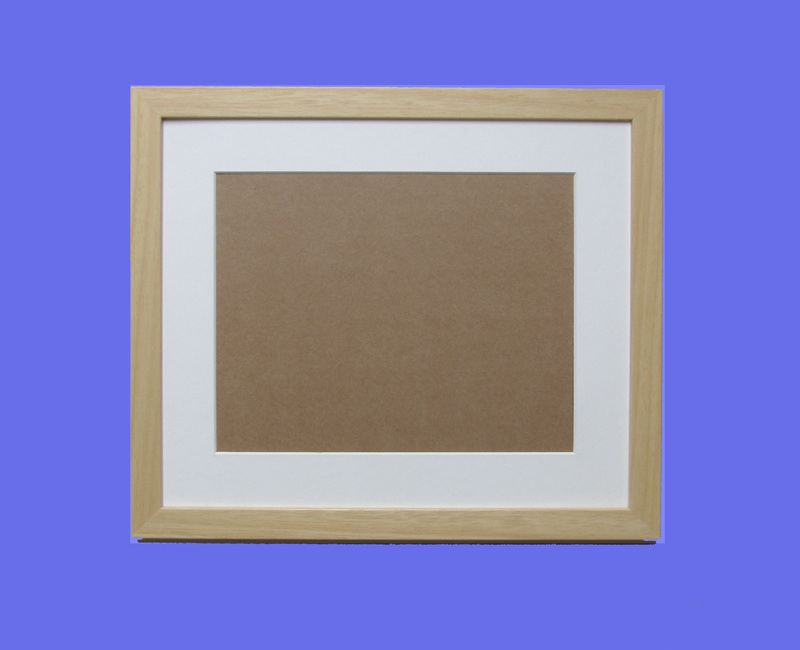 20"X14"NATURAL WOOD REAL WOOD FRAME COMPLETE WITH A SOFT WHITE COLOURED ACID FREE WHITE CORE MOUNT GLAZED WITH GLASS NOT PLASTIC AND CORRI COR BACK. 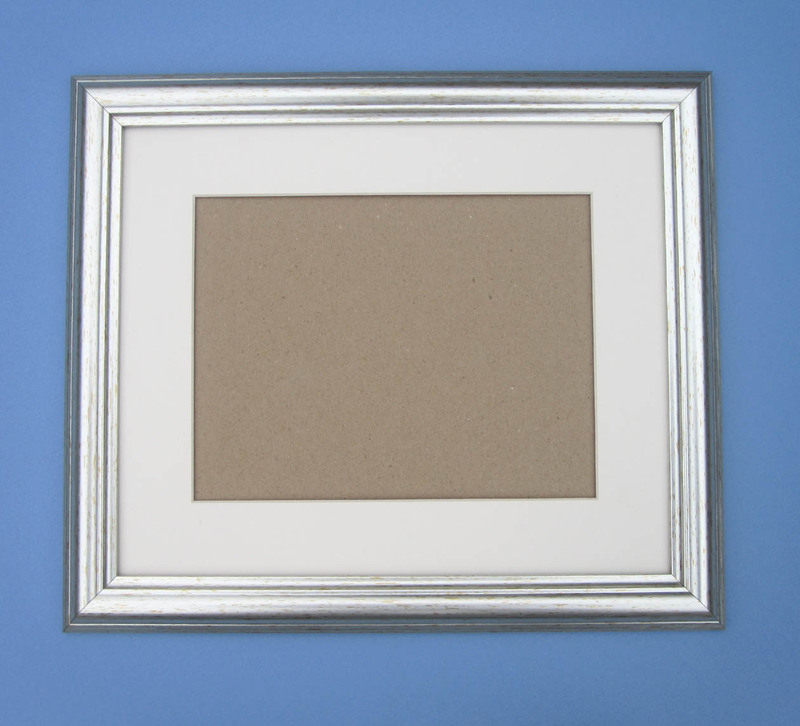 20"X14"GUNMETAL COLOUR POLYMER FRAME COMPLETE WITH A SOFT WHITE COLOURED ACID FREE WHITE CORE MOUNT GLAZED WITH GLASS NOT PLASTIC AND CORRI COR BACK. 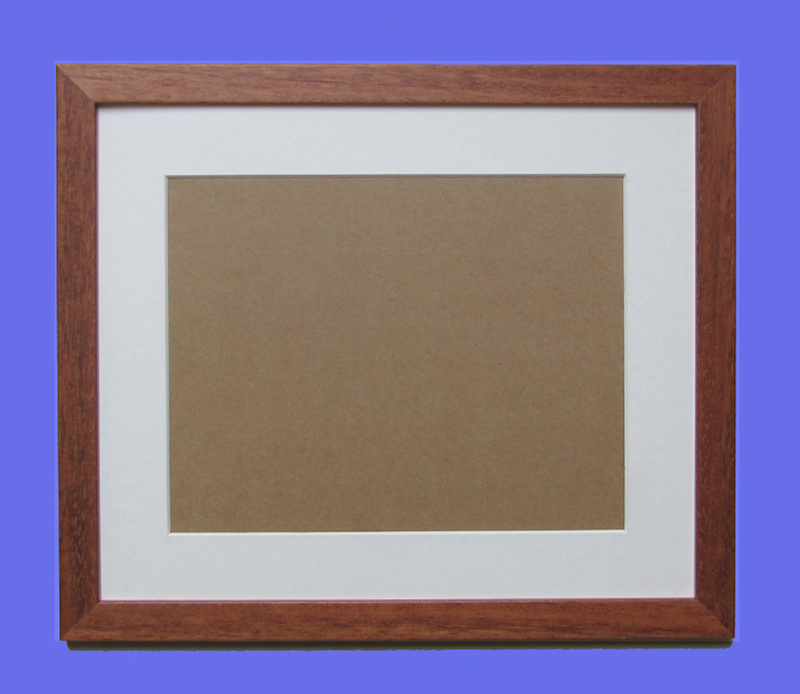 20"X14"TEAK COLOUR REAL WOOD FRAME COMPLETE WITH A SOFT WHITE COLOURED ACID FREE WHITE CORE MOUNT GLAZED WITH GLASS NOT PLASTIC AND CORRI COR BACK. 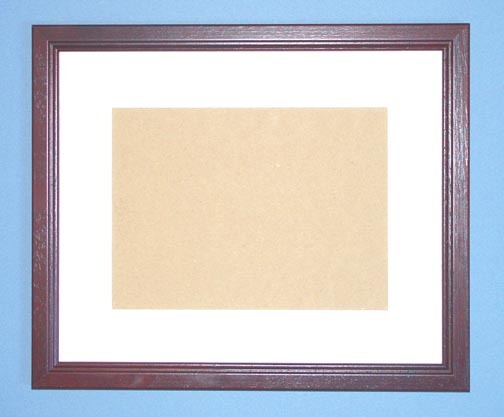 20"X14" MAHOGANY COLOUR REAL WOOD FRAME COMPLETE WITH A SOFT WHITE COLOURED ACID FREE WHITE CORE MOUNT GLAZED WITH GLASS NOT PLASTIC AND CORRI COR BACK. 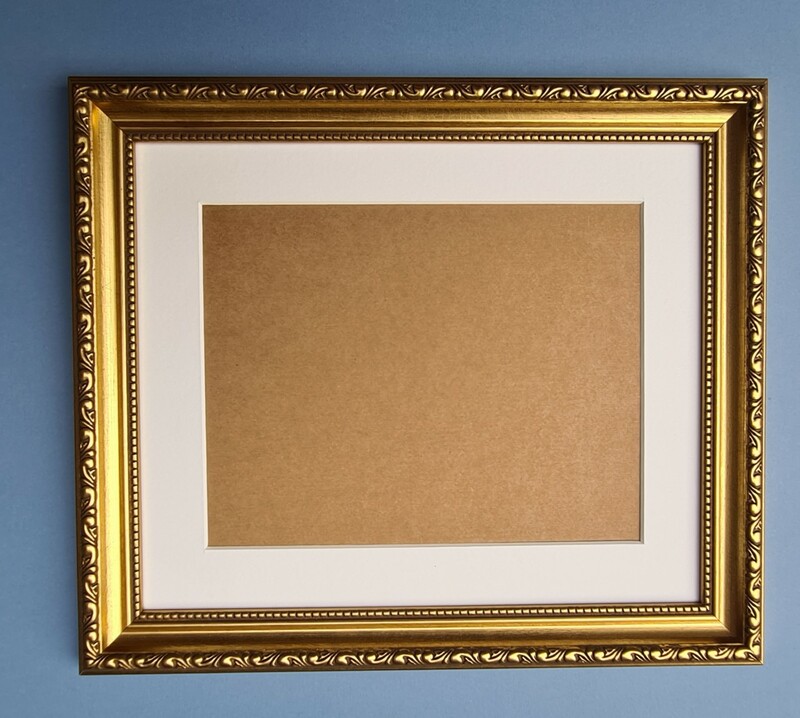 20"X14"ORNATE GOLD POLYMER FRAME COMPLETE WITH A SOFT WHITE COLOURED ACID FREE WHITE CORE MOUNT GLAZED WITH GLASS NOT PLASTIC AND CORRI COR BACK. Price £37.00 inclusive of postage. 20"X14"ORNATE SILVER POLYMER FRAME COMPLETE WITH A SOFT WHITE COLOURED ACID FREE WHITE CORE MOUNT GLAZED WITH GLASS NOT PLASTIC AND CORRI COR BACK. 20"X14" PINK POLYMER FRAME COMPLETE WITH A SOFT WHITE COLOURED ACID FREE WHITE CORE MOUNT GLAZED WITH GLASS NOT PLASTIC AND CORRI COR BACK. 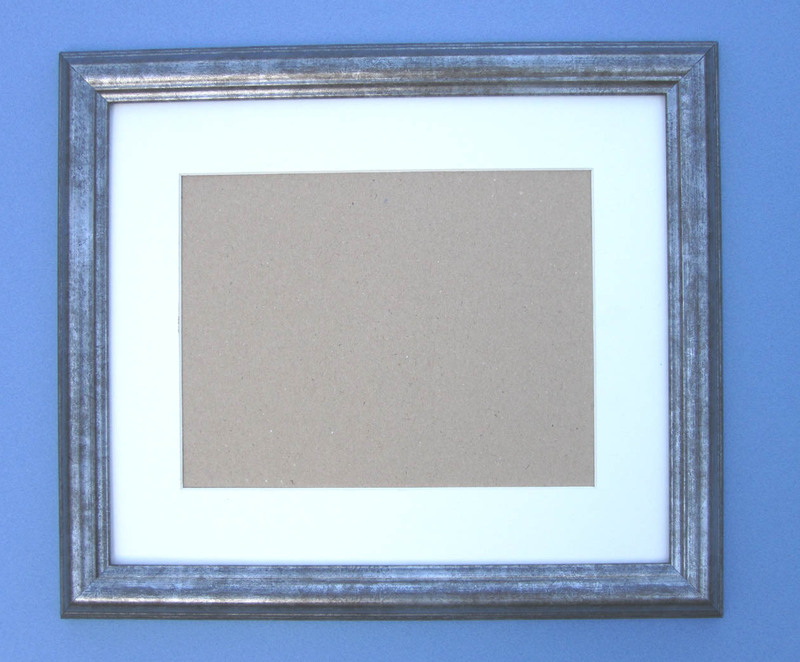 20"X14"GREY AND SILVER POLYMER FRAME COMPLETE WITH A SOFT WHITE COLOURED ACID FREE WHITE CORE MOUNT GLAZED WITH GLASS NOT PLASTIC AND CORRI COR BACK. 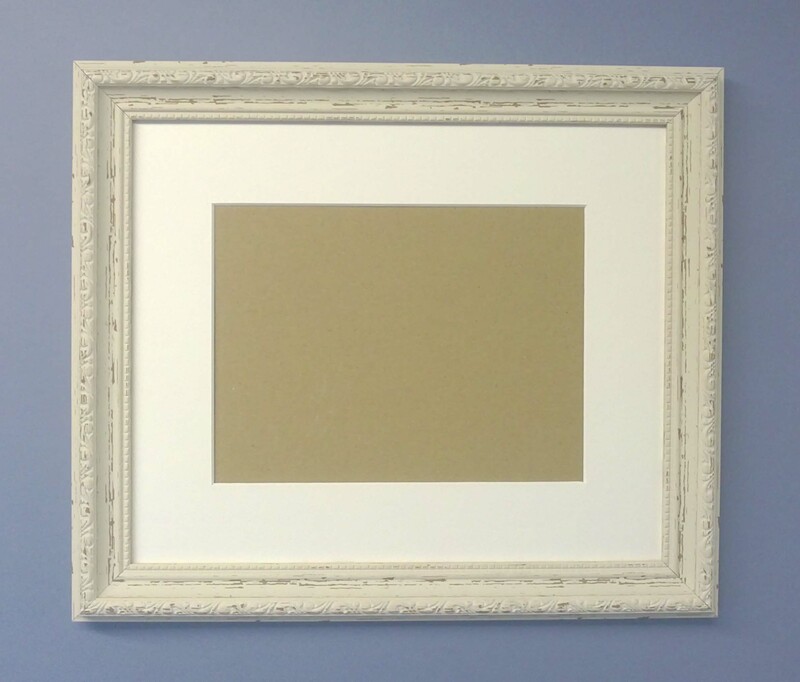 20"X14"WIDE GOLD POLYMER FRAME COMPLETE WITH A SOFT WHITE COLOURED ACID FREE WHITE CORE MOUNT GLAZED WITH GLASS NOT PLASTIC AND CORRI COR BACK. 20"X14" SHABBY CHIC POLYMER FRAME COMPLETE WITH A SOFT WHITE COLOURED ACID FREE WHITE CORE MOUNT GLAZED WITH GLASS NOT PLASTIC AND CORRI COR BACK.